Patton Electronics has designed a range of VoIP equipment that will work with just about any interface and telephone signaling system now in existence. For simple installations linking two geographically separate locations, the only equipment needed is a gateway at each location. The gateways connect the data network with the existing PBX system. Patton SmartNodes include models that are ideal for this type of application. 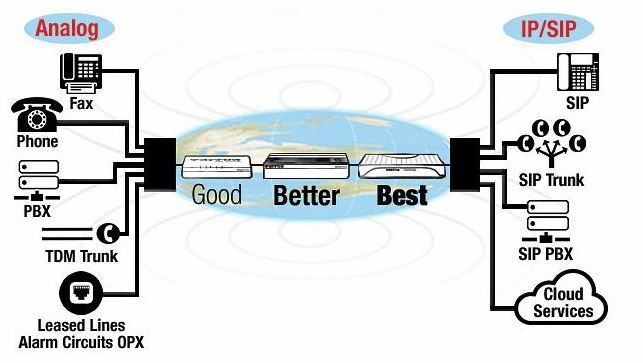 More complex applications may require routers and the network interface cards necessary to connect them to an existing PBX system or LAN Intranet. 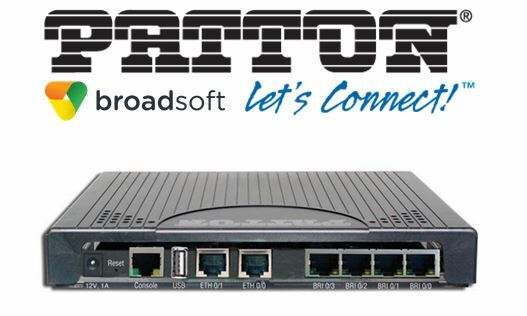 Patton Electronics SmartNode analog and digital routers can be used to set up the most complex of applications that will interface with virtually any telephone system. Patton’s VoIP systems can be integrated with existing analog PBX equipment and standard telephone handsets, or a new system could be set up–a complete IP-based system with IP-PBXs and SIP handsets. Patton SmartNodes are mutually certified for interoperability with just about every major Softswitch and IP-PBX, including 3CX, Elastix, Asterisk and many others. Evolving standards require that equipment can be updated easily. Patton’s range of VoIP products meet this challenge and their free software updates ensure the future of any investment in their equipment.